As always, Hallmark has a lovely selection of animated and kid friendly e-cards. A sweet little site with a selection of over 50 free E-Cards. This site is for the cat lovers. Very cool! Amazing photographic cards of the mothers of nature. Lots of fun, age appropriate Mother’s Day e-cards and others! 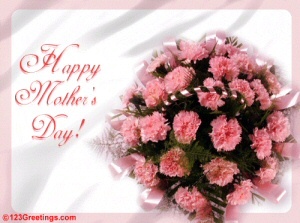 This entry was posted in Blog, mothers day. Bookmark the permalink.